This hotel is located in the heart of Northeast Calgary, minutes from YYC Calgary International Airport and Calgary downtown. Complimentary Airport Shuttle Service is available for all guests. Complimentary Parking is easily accessible off the main level. An underground heated parkade is also available for all guests at a fee. Every aspect of our hotel was designed with you in mind. Great first impressions start with our welcoming and energetic cozy family room lobby. The 24-hour fitness area is equipped with a full service Peel Salon and Spa, pool, whirlpool, sauna and steam room. There is a Ric's Grill and Lounge offering delicious food and exotic martinis. 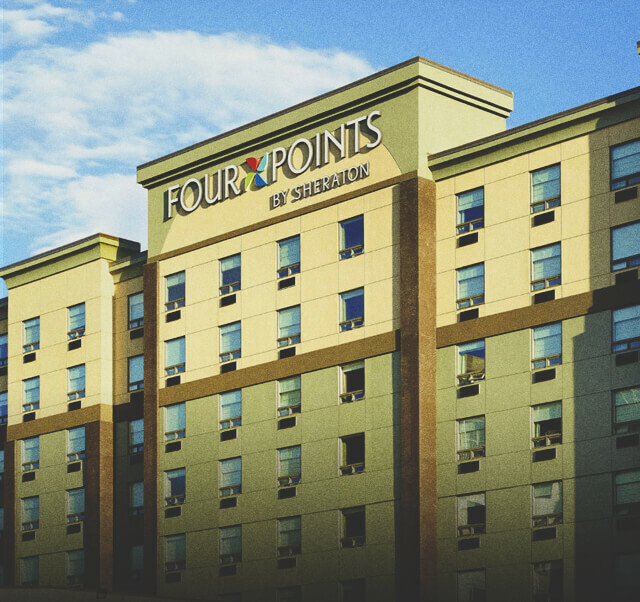 The hotel offers 159 guestrooms and suites, each featuring the Four Points by Sheraton Four Comfort Bed (TM), complimentary high speed internet access, complimentary bottled water, coffee and tea. Guestrooms also feature a spacious workstation with an ergonomic chair, 37" flat screen TV, mini-fridge, and in-room safe. If business brings you in the area, you will appreciate the high speed internet access throughout the hotel. Our 24-hour business centre is complimentary to all guests, printing services are also available. State-of-the-art Technology is found in all 4 of our meeting and banquet rooms some with cascading mountain and city views. Located in the heart of Northeast Calgary, and minutes from the YYC Calgary International Airport and Calgary downtown. 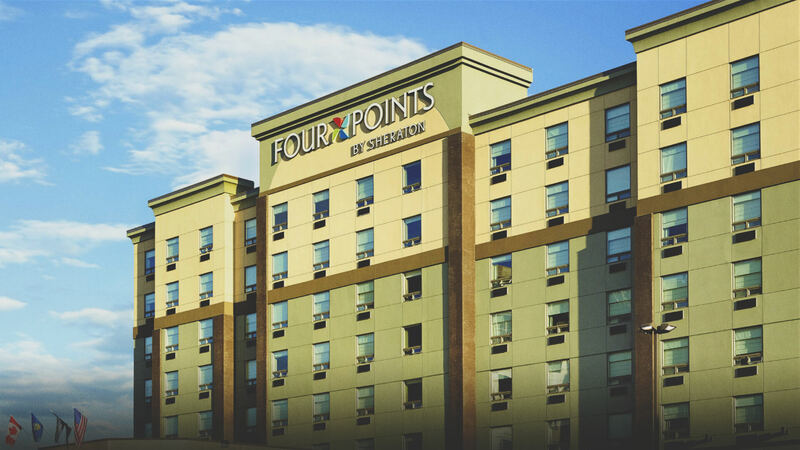 The Four Points by Sheraton Calgary Airport offers a welcoming and energetic cozy family room lobby designed to ease you in as you arrive. Start the day strong with a 24-hour fitness area equipped with our full-service Peel Salon and Spa, pool, whirlpool, sauna and steam room before finishing off with delicious food and exotic martinis at Ric's Grill and Lounge. From the ultra-comfy rooms, a sunny and spacious indoor pool, and the meeting and banquet rooms complete with gorgeous mountain and city views. Every aspect of this hotel was designed with you in mind. Knock back a fine craft beer as part of Four Points’ Best Brews program or join guests for a weekly local beer tasting in the hotel’s lobby.